Cannabinoids are one class of diverse chemical compounds that act on cannabinoid receptors in cells that alter neurotransmitter release in the brain and body of all mammals. 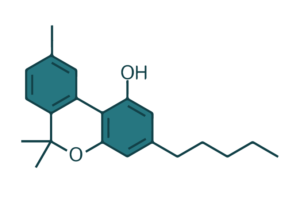 Phyto-cannabinoids are naturally occurring cannabinoids found in the Cannabis sativa plant that can have similar effects in the body as the endogenous cannabinoids by directly influencing the CB1 or CB2 receptors. Of over 480 different compounds present in the plant, with at least 113 different cannabinoids isolated from the plant. 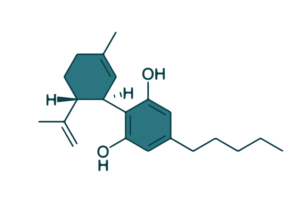 The most well-known among these compounds is the delta-9-tetrahydrocannabinol (Δ9-THC), which is the main psychoactive ingredient in cannabis. 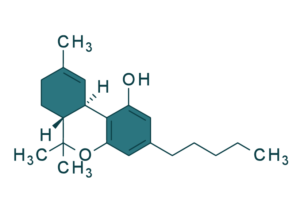 Cannabidiol (CBD) is another important component, which is present in the flowers of the plants in varying levels, depending on the plant genetics. Cannabinoids interact with receptors in the body of all mammalian receptors, including cats and dogs, similar to a lock and key effect. Once these cannabinoids interact with receptors, they create a cascade of effects in the body which can result in a therapeutic effect. THC is the most common and highly researched cannabinoid found in the cannabis plant. It is found in most abundance in marijuana plant and has been researched up to a large extent. 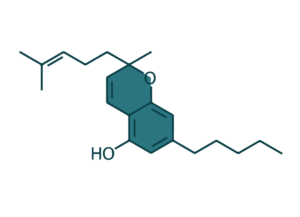 This cannabinoid has intoxicating effects when consumed.It is found in high quantities in the raw plant material. Tetrahydrocannabinol is said to be a very strong anti-inflammatory cannabinoid. 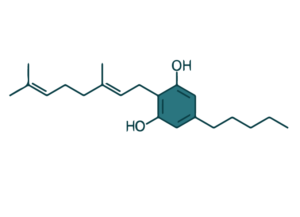 When THCa is heated, it is converted into Delta-9 THC which is said to produce the high or the psychoactive effects associated with marijuana consumption. The reason behind this high is the binding of THC with the CB1 receptors present in the Endocannabinoid system of our brain. Effects such as euphoria, short-term memory impairment, dry eyes, dry mouth, increased appetite, etc. are some of the common side effects of this cannabinoid. THC and its various forms have been researched extensively for their variety of health benefits such as treating chronic pain, treating inflammation, relieving muscle spasms, and acting as a muscle relaxant. It is a powerful neuroprotectant and antioxidant compound and has very strong anti-inflammatory properties. THC has also been researched to fight leukaemia and shrink the tumours related to lung cancer. It is emerging as a new trend in showing some great medical potential.